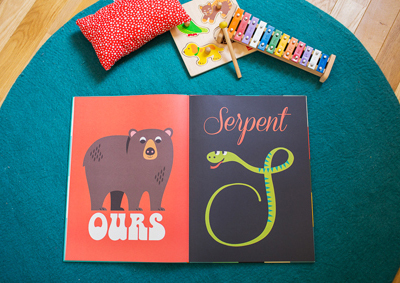 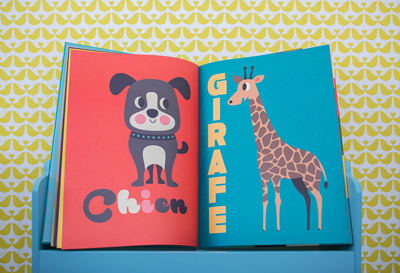 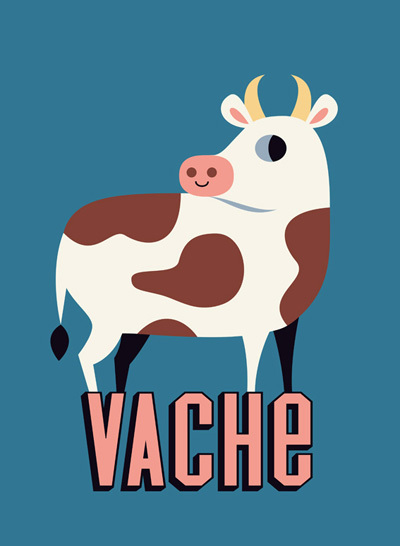 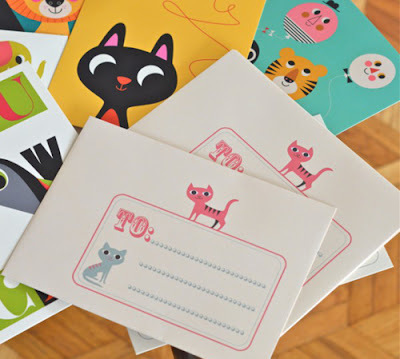 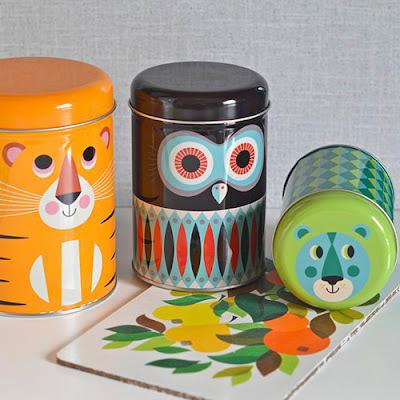 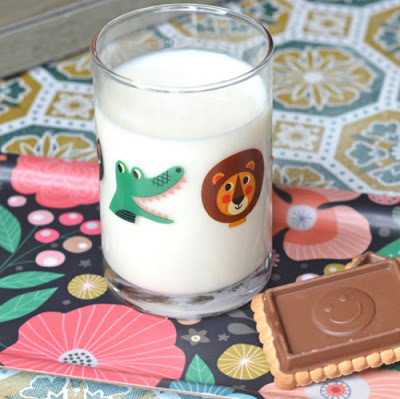 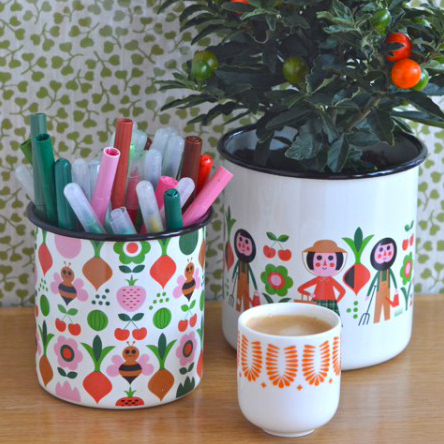 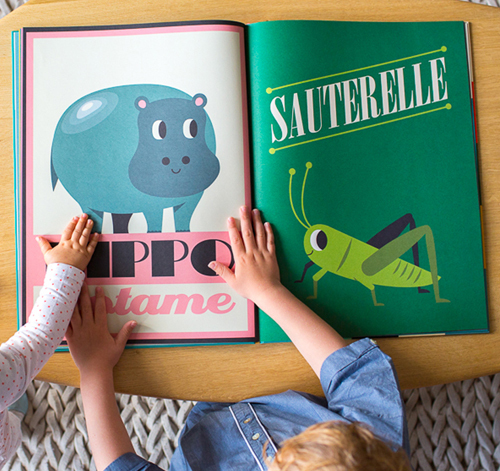 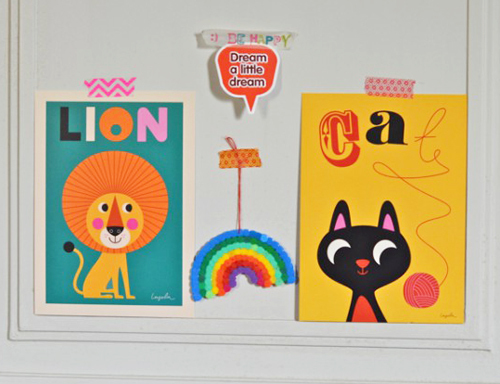 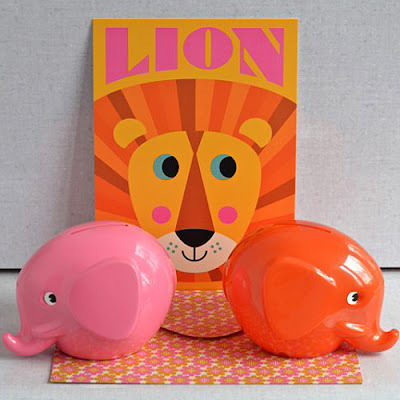 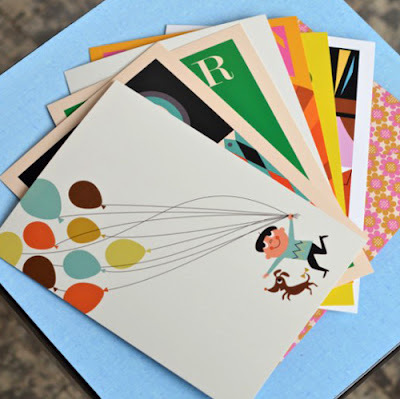 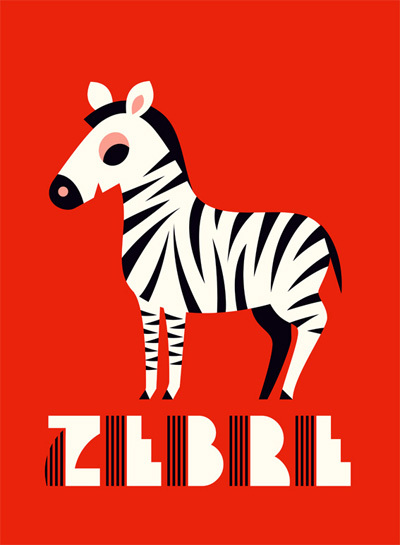 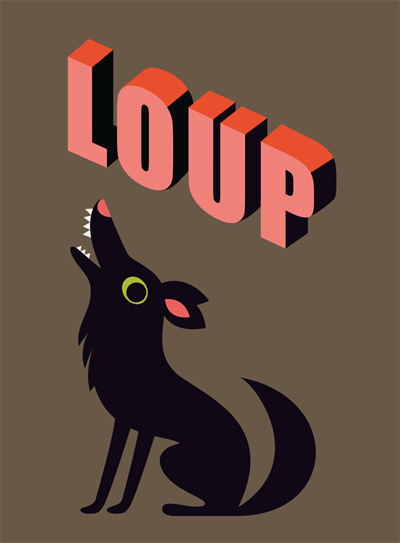 P&P favourite Ingela P Arrhenius has created a brand new children's book for French publishers Marcel & Joachim. 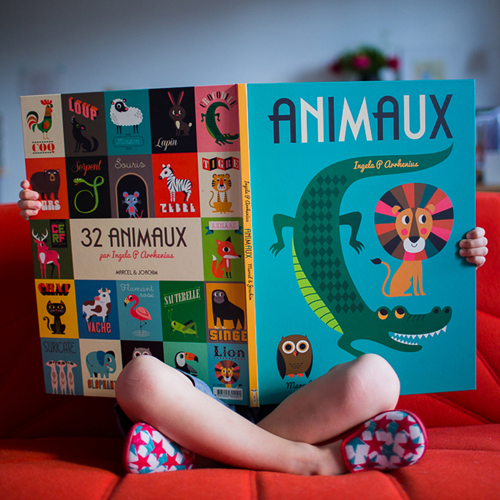 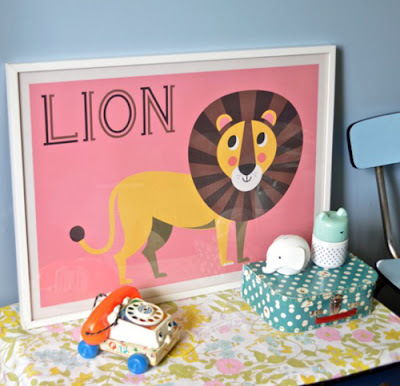 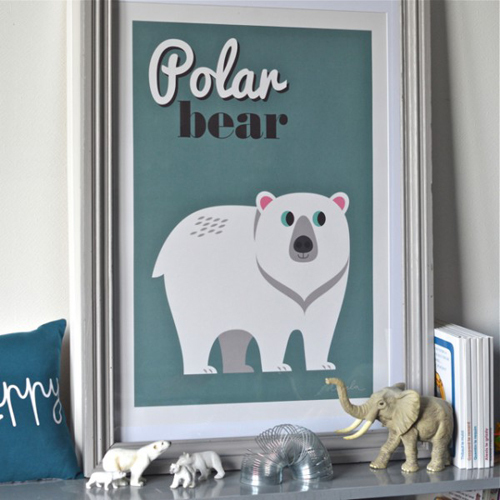 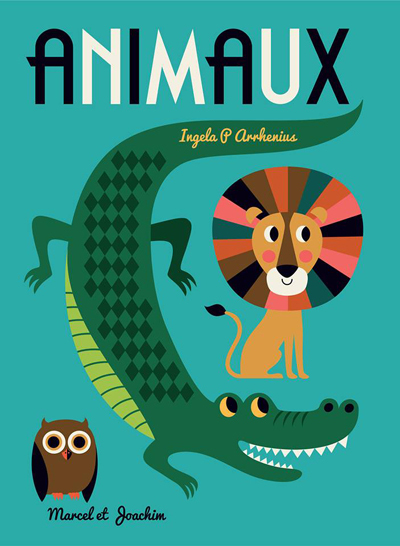 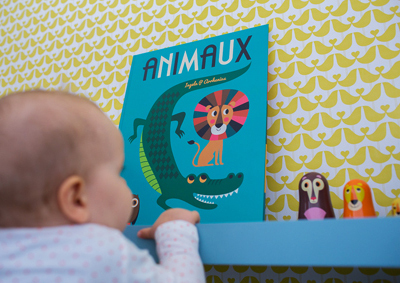 Called 'Animaux' it's a poster sized book measuring a large 46 x 34cm and features 32 different animals illustrated in Ingela's graphic retro style. 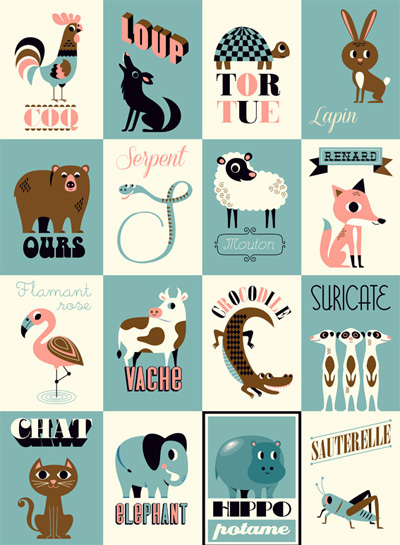 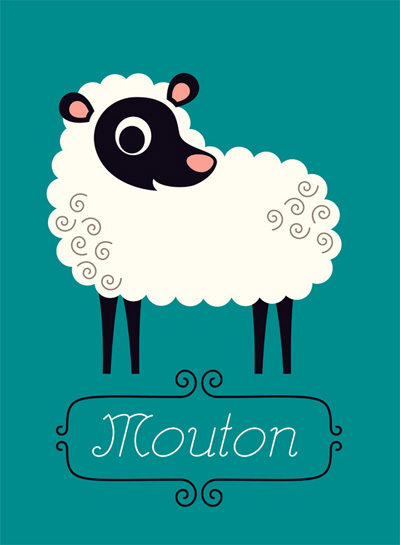 The names of the animals are of course all in French although Dutch, Italian and Spanish versions are also planned. 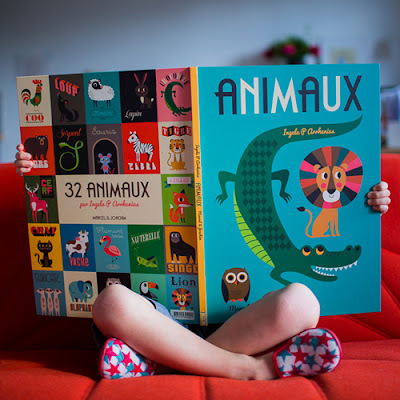 Fingers crossed there will be an English version if a UK publisher comes along. 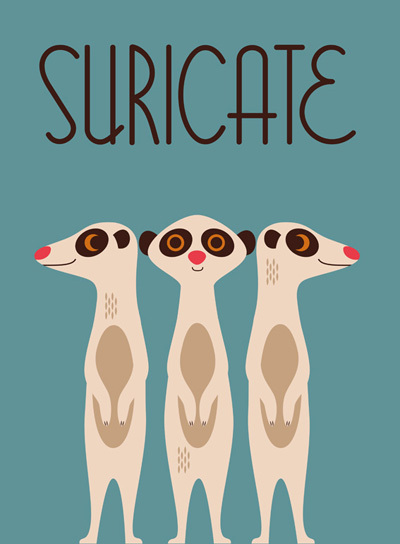 The book will be published on 1st October and has a listing here on Amazon UK. 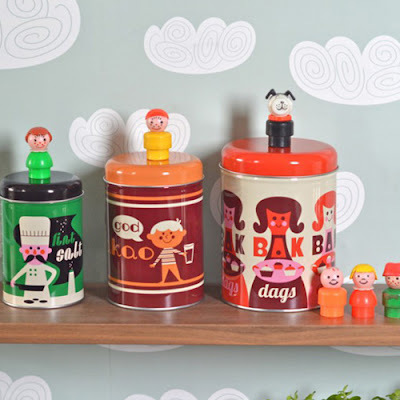 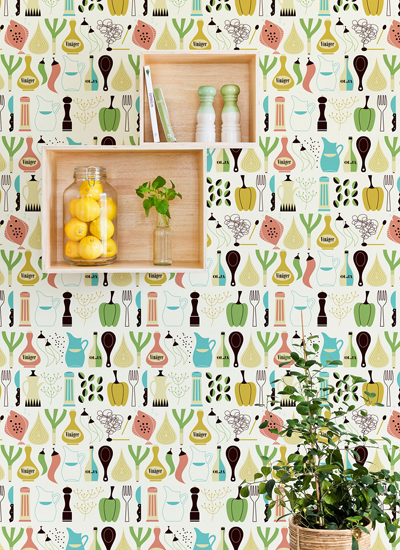 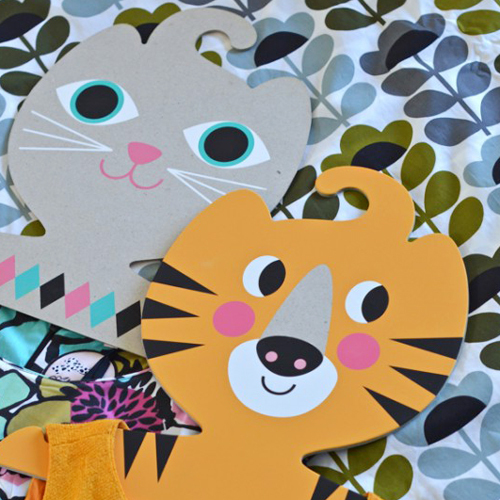 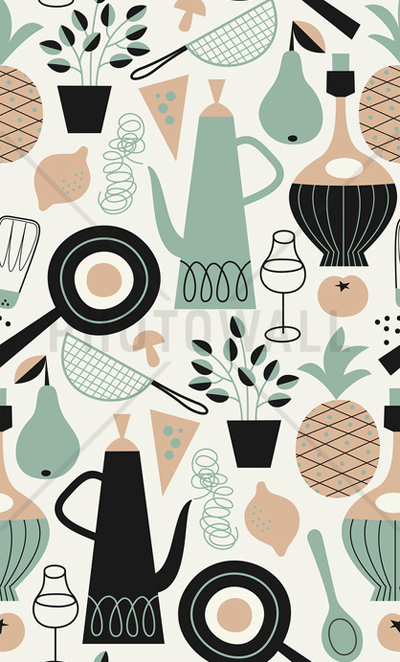 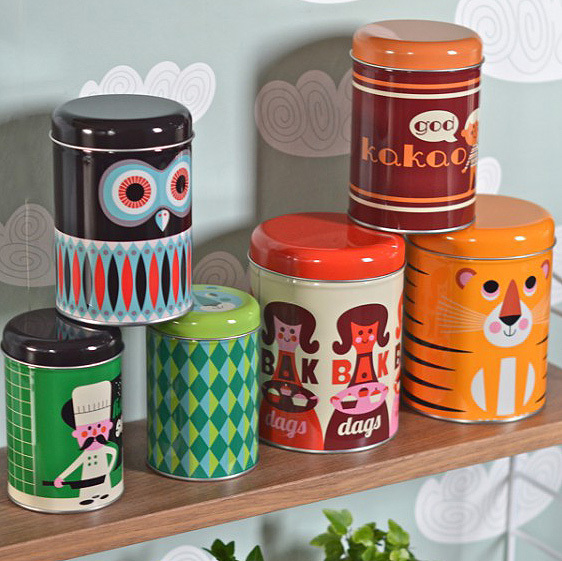 Ingela has also created new designs for Photowall based on a kitchen theme. 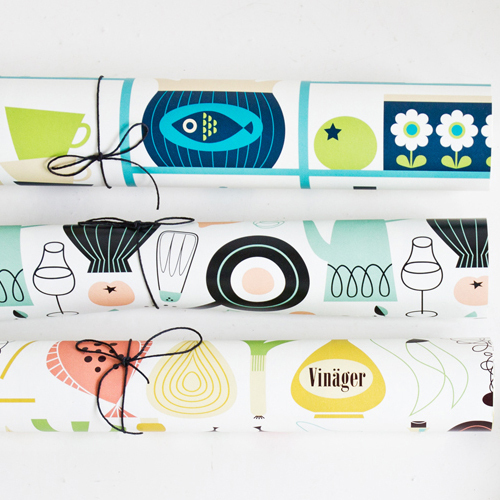 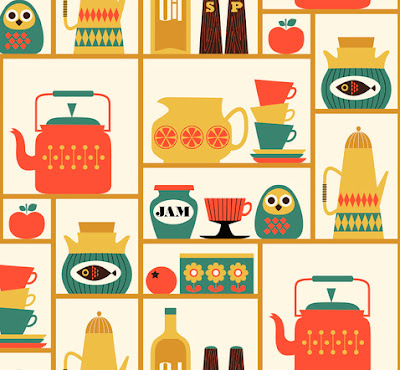 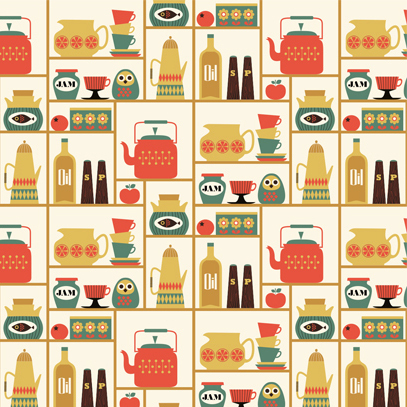 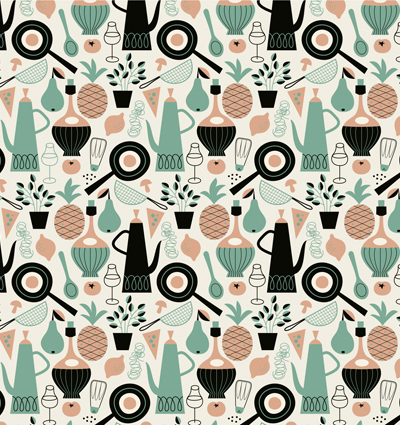 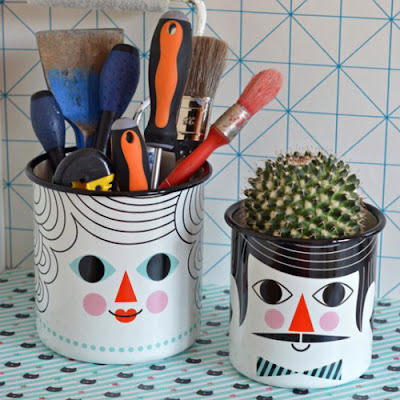 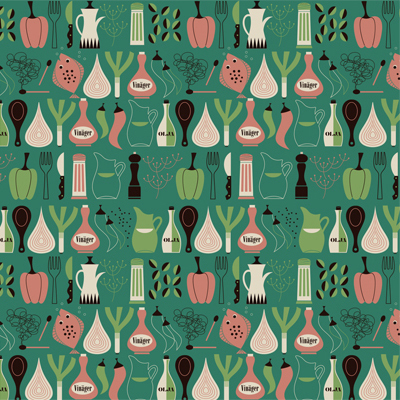 Inspired by flea market finds and vintage cookbooks the patterns are available to order as wallpaper here.